Completion rates in online courses are generally low, averaging around 13%. This poses a challenge to course designers, who are responsible for the success of online learners but have had few tools for influencing their behavior. A promising solution comes from our study on the effect of social networks in eLearning. The key finding is that students who participate in virtual teams are 5x more engaged and 16x more likely to finish an online course. We considered the performance of students enrolled in Technology Entrepreneurship, an eight-week MOOC offered in the summer of 2013 on NovoEd. Of the 23,577 students who worked individually, only 2% finished the course. By contrast, of the 2,671 students in teams, 32% graduated. Completion rates were greater for teams with mentors, which achieved 44% completion (see Figure 1). Those choosing to join teams might be more engaged, however, consistent results held even when we controlled for planned and actual initial engagement with the course. The data testifies to the power of felt accountability, a feeling of social obligation that arises when learners are beholden to others. We surmise that learners in teams tend to hold themselves and each other accountable for their performance, leading to improved completion rates and greater engagement. That’s why team-based learners sign in 5x more often than learners without teams, a 26% higher level of activity (see Figure 2). The effect is amplified in courses where the majority of learners are enrolled in teams. It is noteworthy that, in courses held on the NovoEd platform, course completion rates are as high as 95% when team participation is greatest. These initial findings present a powerful argument for designing MOOCs around team-based assignments. Download the white paper by clicking here. 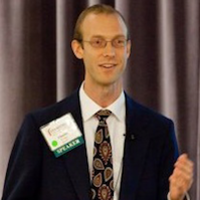 Chuck Eesley is an Assistant Professor of Management Science and Engineering at Stanford University.